Spring in to April with Old Orchard! As some of you know, April 22nd is Earth Day. To honor Earth Day, this month's challenge will leave you reaping what you sow! There's nothing better than the taste of fresh picked herbs and vegetables right out of your own garden. This spring, we're challenging you to grow your own -- herbs, flowers, veggies -- whatever you choose! Once you decide, tell us what you are planning on growing this spring using the entry form below and you could win FREE juice and a FREE seed packet to get you growing! 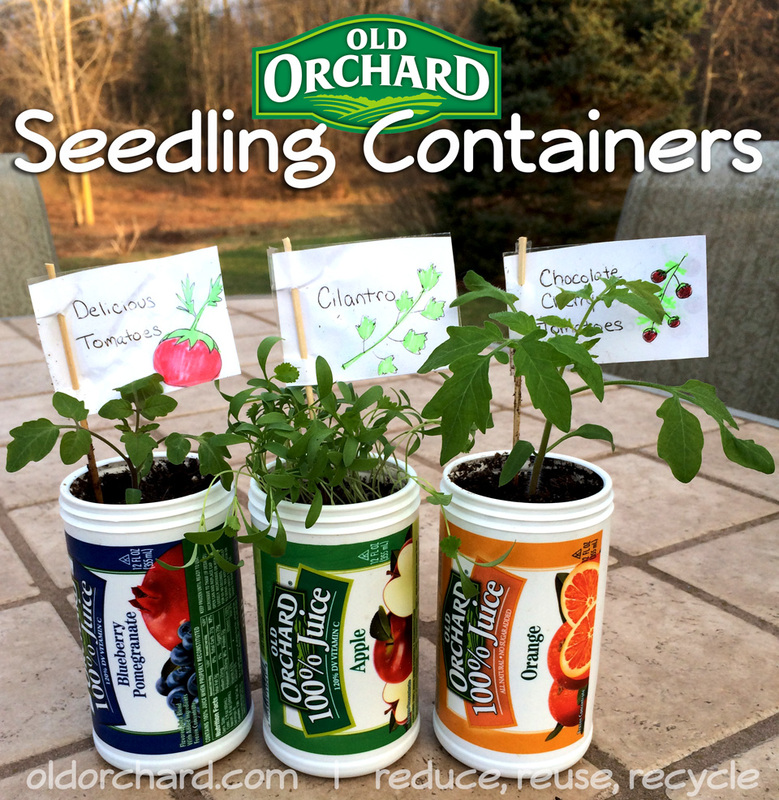 Even better, you can upcycle an Old Orchard juice container, decorate it, and use it as a planter as you watch your seedlings sprout and flowers bloom. 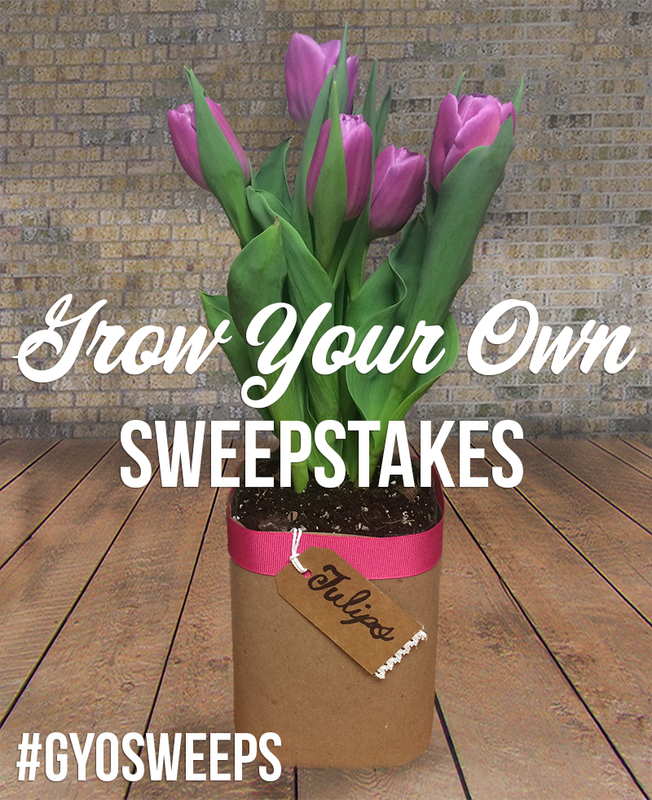 To enter into the Grow Your Own Sweepstakes all you have to do is complete our entry form telling us what you are planning on growing this spring for your chance to win! We will choose 100 Grand Prize winners, to receive a FREE Old Orchard juice coupon and an Herb Mix Seed Packet filled with dill, basil, marjoram, and savory seeds. Entries must be received by 11:59pm EDT April 30, 2017. Need help? To get you started, read our how-to guides and learn how to easily take an empty Old Orchard juice can or bottle and transform it into a seedling container. NO PURCHASE NECESSARY. To enter, complete the entry form found online at (insert link). Sweepstakes begins April 1, 2017 at 12:00am EDT. All entries must be received by April 30, 2017 at 11:59pm EDT. Limit one entry per person. Each eligible entry will constitute a unique sweepstakes entry. The Sweepstakes is open to all legal residents of the United States, 18 years of age and older on or before 12:00am EDT, April 1, 2017. The Sweepstakes excludes employees and immediate family members of Old Orchard and its parent companies, subsidiaries, affiliates, assigns, advertising, promotional and fulfillment agents, attorneys, and other representatives and the persons with whom each of the above are domiciled. 100 Grand Prize winners will be selected at random from among all eligible entries. Limit one winner per household. All winners will be contacted via the email address provided. Grand Prizes will include a Free Product coupon redeemable for a free Old Orchard juice product, up to a $3.69 value; and an exclusive Herb MIx Seed Packet. All prizes are non-transferable and cannot be sold or redeemed for cash. Old Orchard may substitute a cash payment or substitute prize of equal or greater value at its sole discretion. Any federal, state, or local, taxes are the sole responsibility of the winners. For the names of prize winners, send a self-addressed, stamped envelope (postage not required from Vermont residents) to Old Orchard Attn: Bottle Bash Sweepstakes – Winners List, P.O. Box 66, Sparta, MI 49345. All requests for a list of winners must be received by 11:55 p.m. EDT on May 14, 2017.